Industrial Abseiling is more commonly recognised as a cost effective none intrusive ideal form of access for blocks / structure refurbishment. extreme access ltd has undergone numerous prestige projects throughout London and the south East. 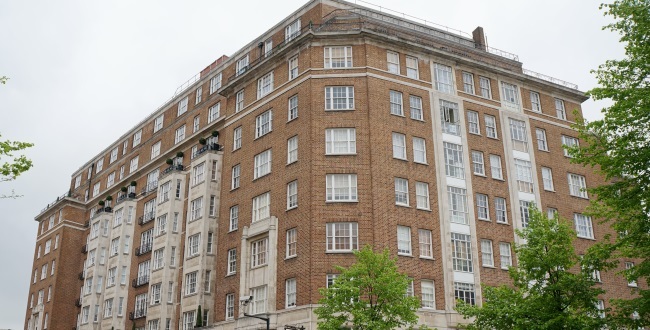 Extreme Access ltd were tasked with the full repair and refurbishment including the removal and replacement of balcony supports throughout this large modern residential block. A complex project with detailed planning. Extreme Access ltd has been a part of the circulatory refurbishment program for many years, We are proud of keeping one of the most iconic buildings in the shape it deserves following the extensive completion of refurbishment in 2007. Using industrial abseiling Extreme access has been awarded the tender for the replacement of Trespa balcony panels and further mainance works resolving an awkward accessing problem within the GMV. Extreme Access were tasked with a full external refurbishment on one of the landmark high rise residential blocks in Bournemouth. Replacing Balconies with new stainless steel and a complete redecoratin of the entire block, industrial abseiling lended itself to this job perfectly. Working for a London client with one of the largest portfolio of buildings in the UK, extreme access were tasked with the refurbishment of a large residential block on edgeware road. There were numerous everyday hazards at ground level health and safety was paramount for completion of this project. A huge and exciting project Refurbishing steel crittle windows throughout this large block of apartments. We were tasked as a primary contractor to complete a thorough overhaul and paint project of these dilapidated windows and timber surrounds. With the perfect back drop for a project, Extreme Access Ltd again have saved time and money for a large 12 story residential block. With views over the Bournemouth coast line throughout this project, repairs were clearly needed throughout before the paint work took place.